Building a machine that works harder requires a more powerful engine and the ability to haul more stuff. Staying out on the job site or trail longer is easier with a comfortable place to sit and suspension that smooths out the bumps. The ability to reach any job or remote destination becomes easier with capable, predictable handling and the clearance needed to traverse rough terrain. All of these attributes also lend themselves to creating a very capable recreation machine as well, for hunters, outdoorsman, or weekend warriors when the work is done. Unique to the utility / recreation segment are machines that can haul up to six occupants. 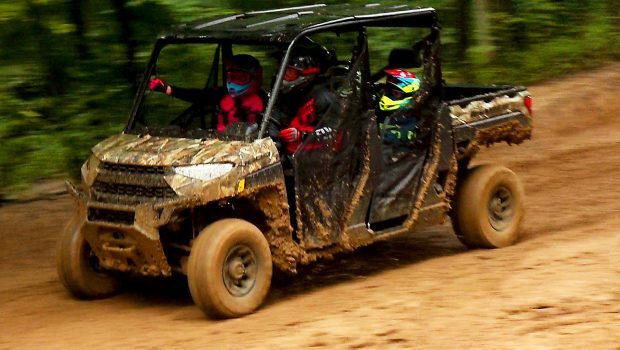 These machines are not only ideal for larger work crews; they’re also attractive to fun-seeking families as the cost of purchasing and maintaining a six-seat UTV is less than two or three smaller capacity machines. 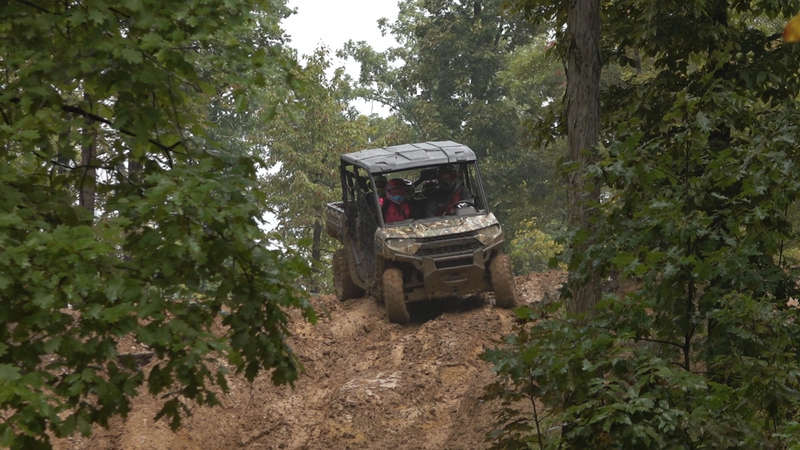 On behalf of these enthusiasts, we decided to thoroughly test the seriously updated, incredibly capable, and surprisingly fun 2019 Polaris Ranger Crew XP 1000. Based on many of the updates to the 2018 Ranger XP 1000 3 seater, the 2019 Ranger Crew XP 1000 is said to have over 100 changes. Based on many of the updates to the 2018 Ranger XP 1000 3 seater, the 2019 Ranger Crew XP 1000 is said to have over 100 changes. 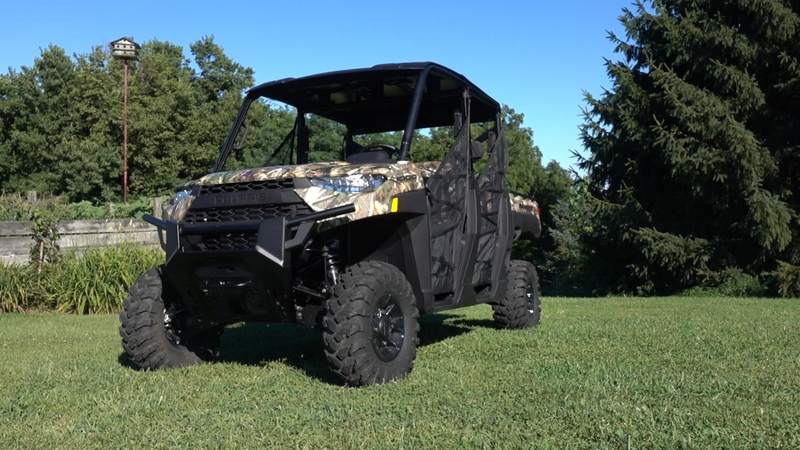 Variations of the 2019 Ranger Crew XP 1000 EPS include the sage green, steel wheel equipped base model starting at $16,999. There are two premium painted models highlighted with automotive style paint and aluminum wheels starting at $18,099. 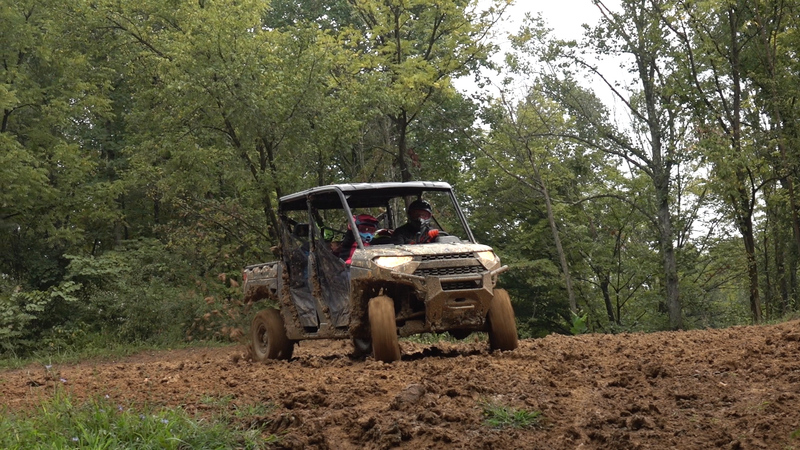 The Polaris Pursuit Camo we’re testing with aluminum wheels starts at $18,299. Ranger Crew Northstar Edition is completely enclosed and features heating and air conditioning for comfort in all climates for $27,299. 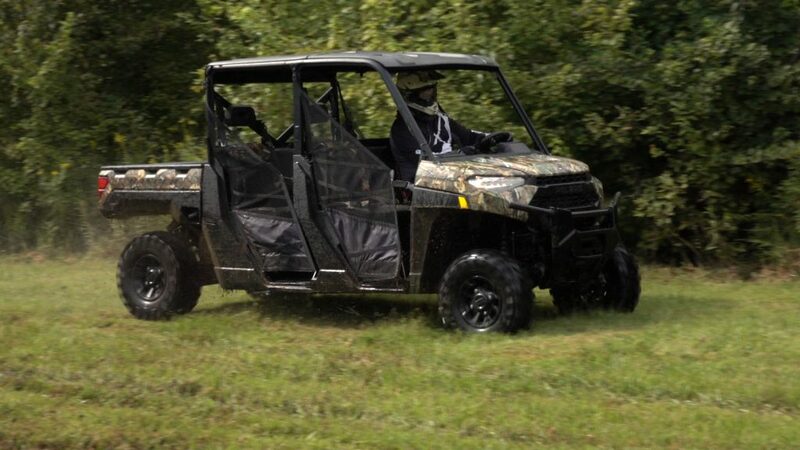 For $22,099, the Ranger Crew High Lifter Edition is purpose built to transport your crew through deep, muddy terrain. We will be reviewing our test of the Ranger Crew High Lifter Edition in the coming weeks. Subscribe and you won’t miss it. 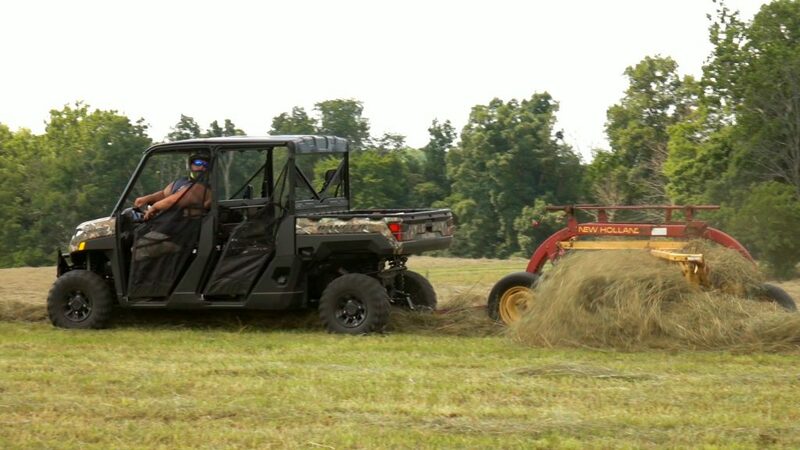 Putting the work capabilities of the Ranger Crew to the ultimate test, we took it out to a day-long hay-bailing event. 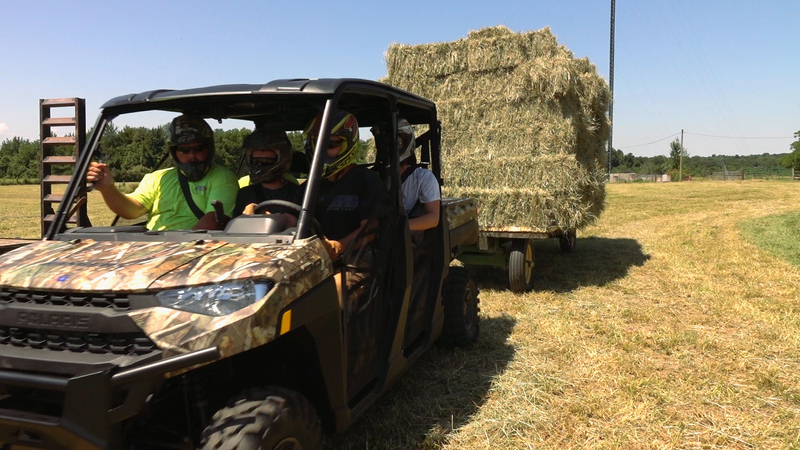 Putting the work capabilities of the Ranger Crew to the ultimate test, we took it out to a day-long hay-bailing event with long time UTV on Demand tester, Aaron Meyer, and his big, country boy cousins. 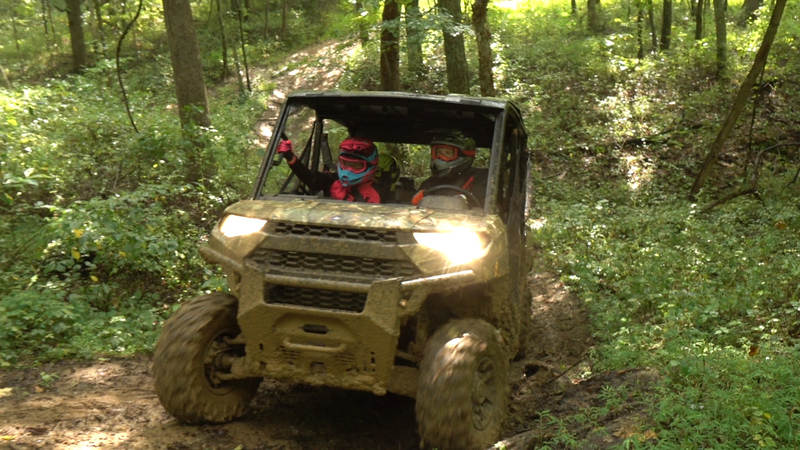 Then we headed to Haspin Acres Off-Road Park in Laurel, Indiana with William Collins, his boys, and UTV on Demand test rider, Jennifer Wingate, where we hit the trails for a day of riding fun in the most challenging conditions Mother Nature could throw at us. 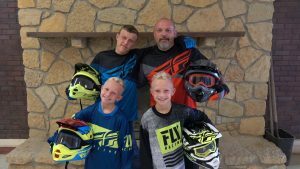 Growing up riding dirt bikes at Haspin Acres, the Ranger provided William Collins with the first opportunity to show his boys the place he grew up riding dirt bikes with his dad. 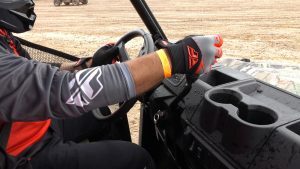 Getting dressed up in new off-road riding gear from Fly Racing provides protection and adds to the feeling of being part of something. 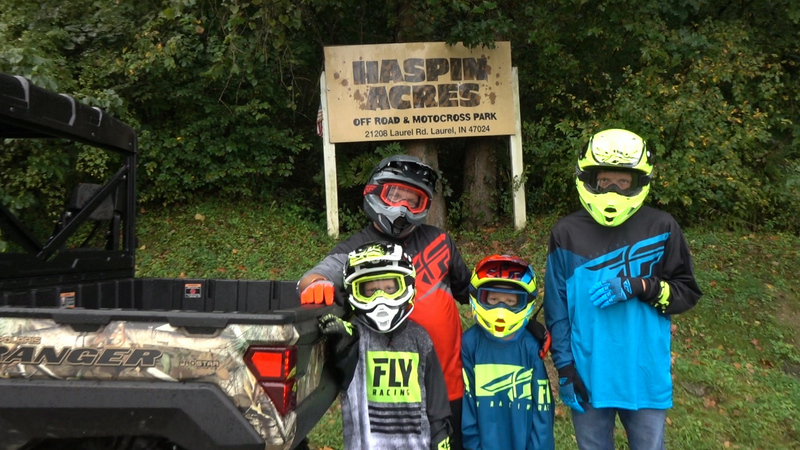 Growing up riding dirt bikes at Haspin Acres, the Ranger provided William with the first opportunity to show his boys the place he grew up riding with his dad. 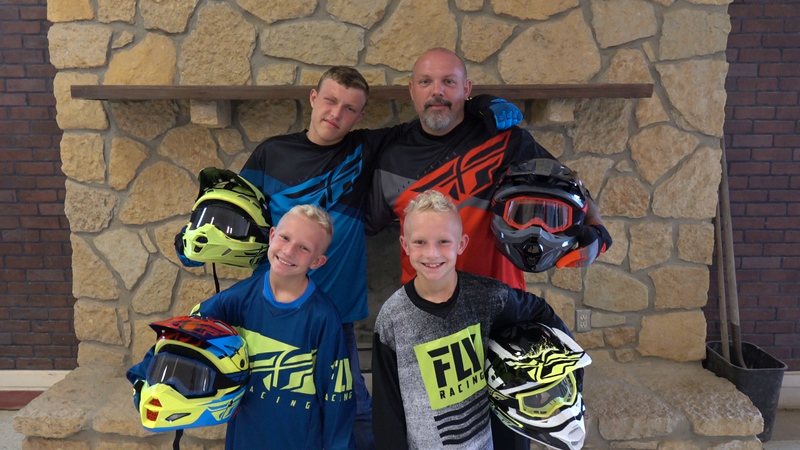 Getting dressed up in new off-road riding gear from Fly Racing provides protection and adds to the feeling of being part of something. Fly has cool gear options at many different price points with color options that meet the demands of all of our discriminating riders. Polaris is claiming the most horsepower and torque of any work focused side-by-side. For 2019, power output was increased from 80 to 82 horsepower thanks to an updated intake, exhaust, and optimized ECU. 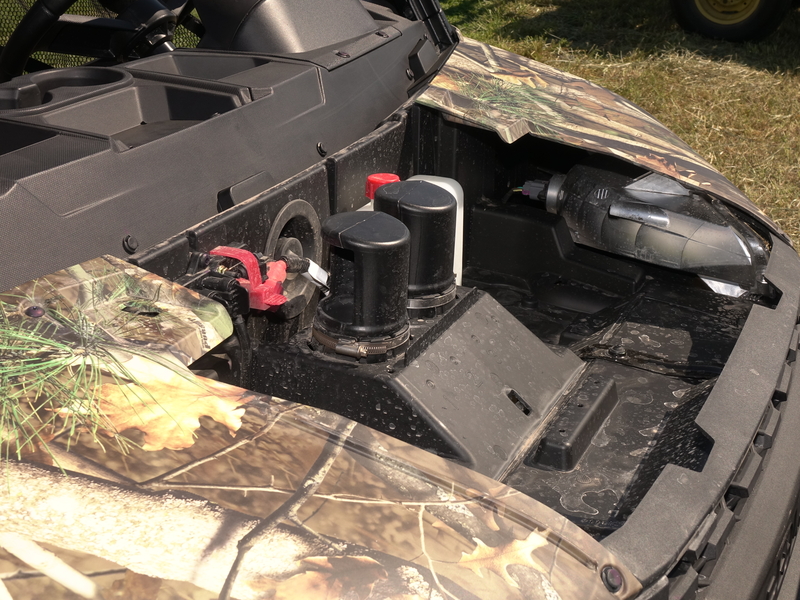 A drive by wire gas pedal allows for Polaris’ three-mode throttle setup providing work, standard, and performance modes. The 1000 is powered by a 999cc, parallel twin cylinder, liquid cooled, fuel-injected engine with four-valves and DOHC per cylinder. With 10 more horsepower than the 976cc Can-Am Defender Max, Polaris is claiming the most horsepower and torque of any work focused side-by-side. For 2019, power output was increased from 80 to 82 horsepower thanks to an updated intake, exhaust, and optimized ECU. 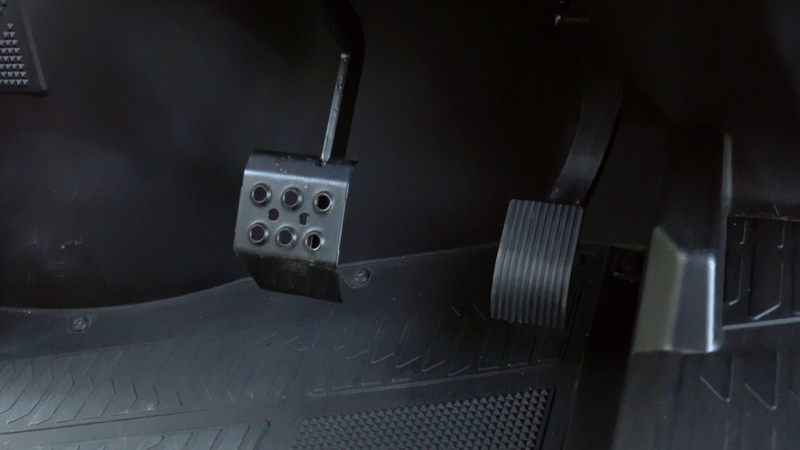 A drive by wire gas pedal allows for Polaris’ three-mode throttle setup providing work, standard, and performance modes. With the transmission in high-range, work mode reduces the total amount of throttle available by a noticeable amount and spreads throttle delivery over the entire throw of the pedal providing smoother, more precise, throttle control for improved work or low-speed operation. Performance mode provides maximum throttle response getting you into the power early for aggressive driving. 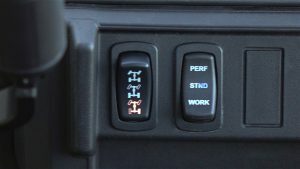 Standard mode provides full power, but reduces throttle delivery early on in the pedal stroke compared to Performance mode. Allowing you to stay out longer, fuel capacity has increased by 1.5 gallons to 11.5. The PVT is all new for the Ranger Crew for 2019. 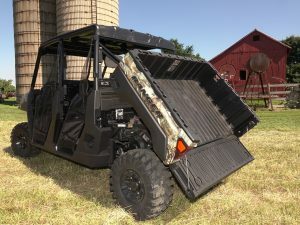 It features a wider ratio allowing Polaris to gear the transmission down for additional towing capacity and the vehicle’s heavier loaded weight, while reducing engine operating RPM at higher speeds for a quieter riding experience. 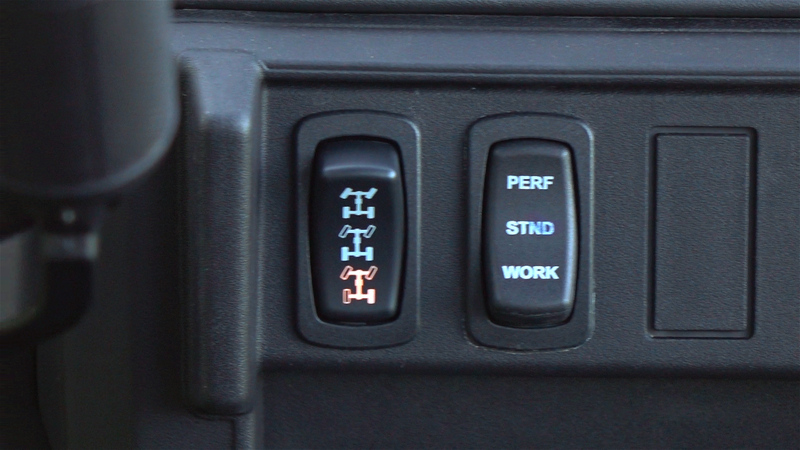 The top end mates up to an automatic, Polaris Variable, CVT transmission with high and low ranges, plus neutral, reverse, and park, selected by a dash mounted lever. The PVT is all new for the Ranger Crew for 2019. 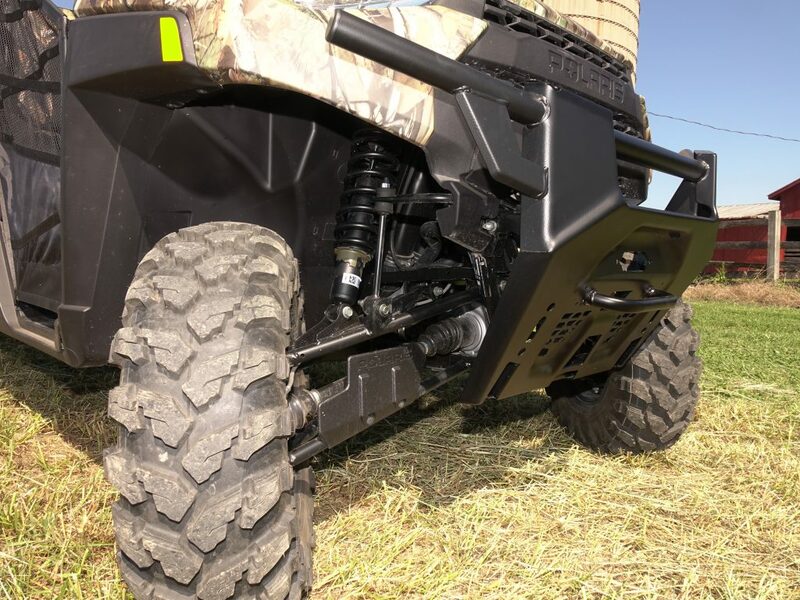 It features a wider ratio allowing Polaris to gear the transmission down for additional towing capacity and the vehicle’s heavier loaded weight, while reducing engine operating RPM for a quieter riding experience. Engine braking has been added for 2019 reducing demand on the driver and the brakes on long descents. Air intakes for the engine and transmission are in a good place to draw clean air, mounted high under the hood far from most splashing mud and water. Air intakes for the engine and transmission are in a good place to draw clean air, mounted high under the hood far from most splashing mud and water. 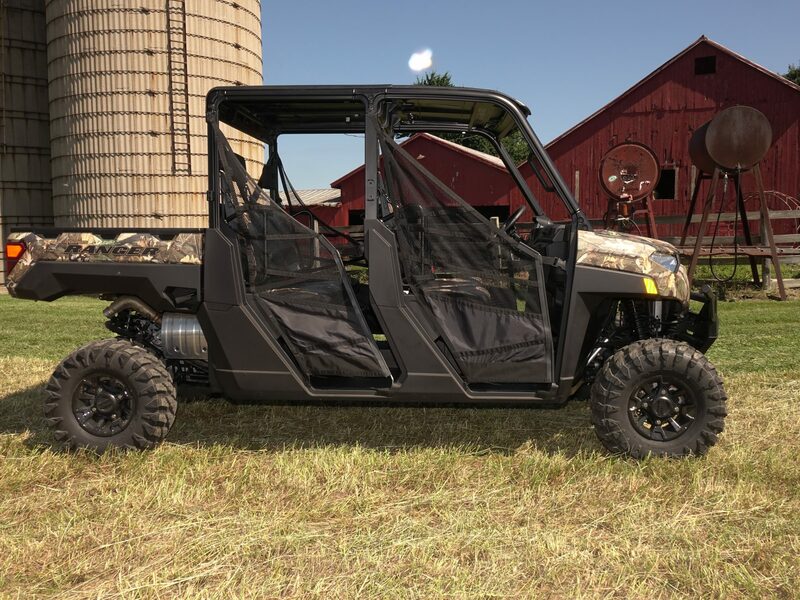 The drive system features 2WD, all-wheel-drive, and Polaris’ VersaTrac turf mode, allowing you to unlock the rear differential for use on sensitive surfaces. 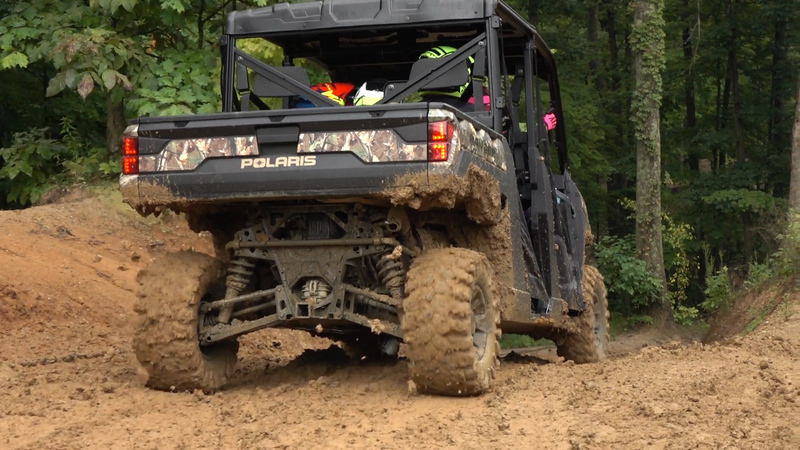 In high traction situations, Polaris’ All-Wheel-Drive system drives the rear tires only for lighter steering. With minimal slippage of the rear tires, the front wheels engage providing true locked in four-wheel-drive until the system senses traction has been restored. The drive system features 2WD, all-wheel-drive, and Polaris’ VersaTrac turf mode, allowing you to unlock the rear differential for use on sensitive surfaces. 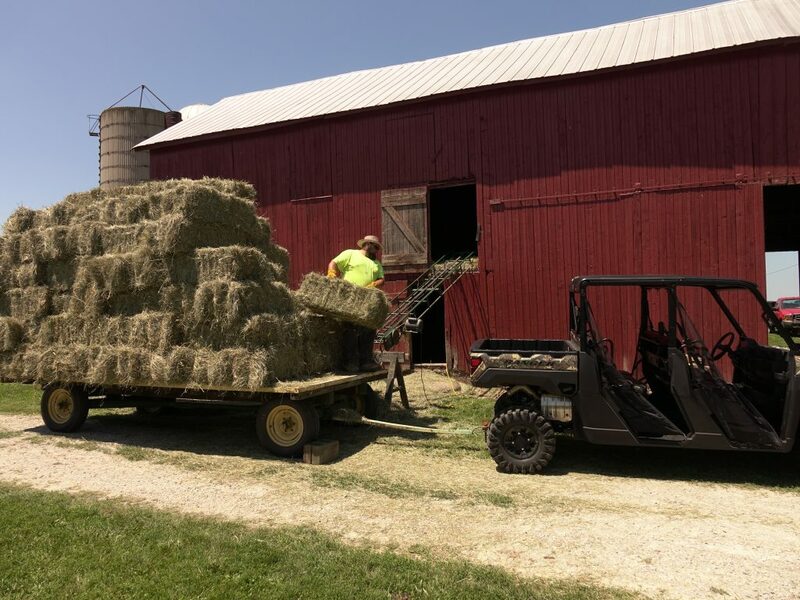 Out on the farm, loaded with six occupants, the Ranger proved to have plenty of muscle, easily getting a loaded hay wagon rolling, which greatly exceeded its 2,500lb towing capacity. With plenty of torque, the clutch strikes a good balance between smooth engagement and providing a little snap to get heavy loads moving. The Ranger was used throughout the day to pull a hay rake followed by the tractor, which towed the bailer and hay wagon through the hilly fields. Work mode on the Ranger’s throttle really came in handy, allowing for easy gas pedal modulation at lower speeds aiding in control and comfort. 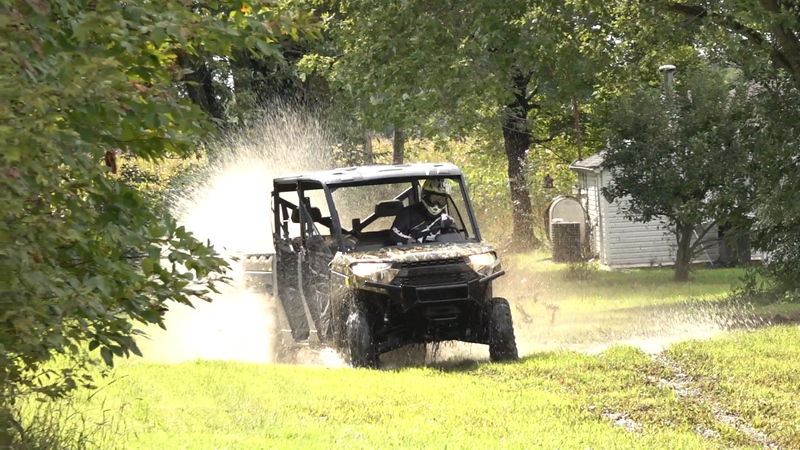 During recreational testing, we left the Ranger in sport mode most of the time maximizing its fun factor. If you assume the Ranger is a mundane workhorse, it might surprise you. 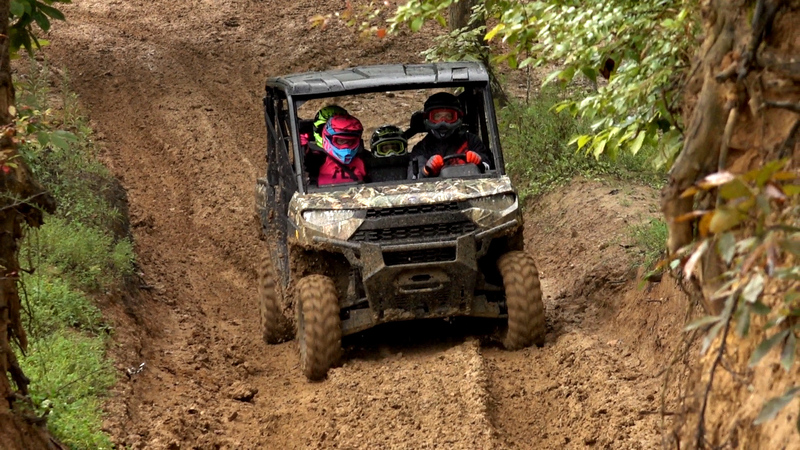 The Ranger’s high-torque, 82hp engine delivered a higher level of fun than we expected. It launches with authority off the line with respectable pull at medium speeds. We had the car over 50mph within a few hundred-yard drag race. Out on the farm, loaded with six occupants, the Ranger proved to have plenty of muscle, easily getting a loaded hay wagon rolling, which greatly exceeded its 2,500lb towing capacity. 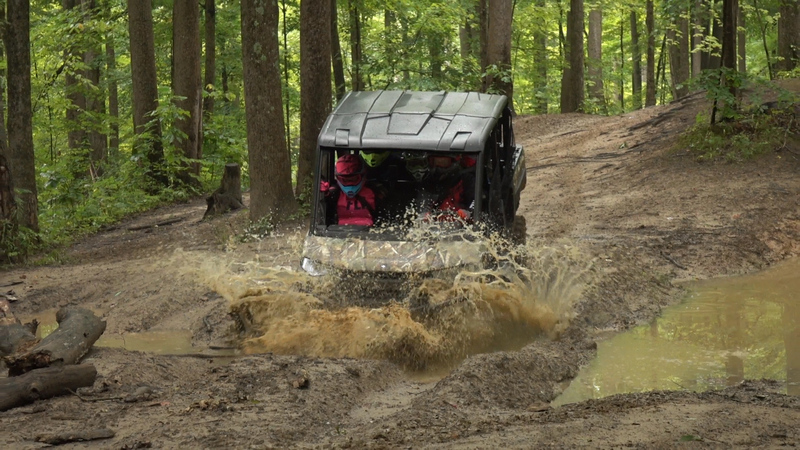 In muddy conditions, the engine can instantly break all four tires loose and spin them clean exposing the tire’s tread. With most of our testing taking place in the wet, we ran in AWD almost 100% of the time. With very little traction available throughout our trail riding, AWD was seemingly always engaged helping pull the car along. We were amazed at some of the hills the heavyweight could claw its way up in conditions where simply walking was treacherous. 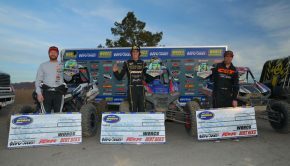 There was no apparent lag between the rear tires losing traction and the front wheels beginning to pull. AWD worked pretty flawlessly throughout our adverse testing conditions. If you assume the Ranger is a mundane workhorse, it might surprise you. 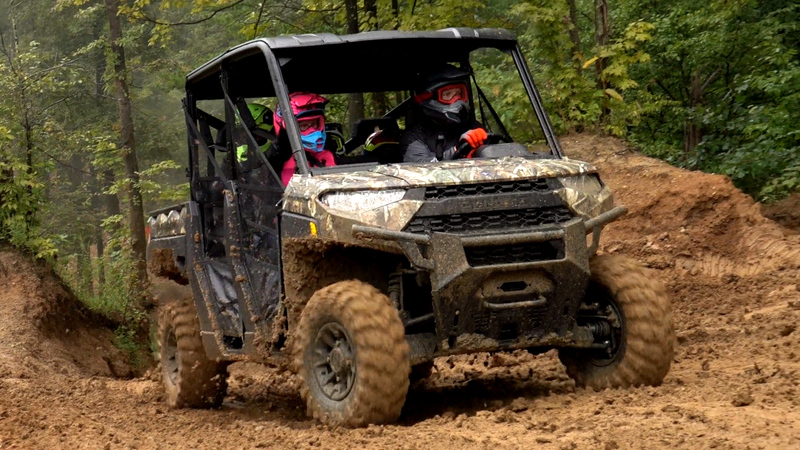 The Ranger’s high-torque, 82hp engine delivered a higher level of fun than we expected. Engine braking felt natural without being overpowering. The engine delivers satisfying level of performance for spirited trail riding, but is smooth and good-natured for working or driving at lower speeds. Cruising along in high range, engine noise is pretty quiet. Conversation is possible without much effort. Engine braking felt natural without being overpowering. It was a welcomed feature on the slippery downhills, putting less demand on the brakes. 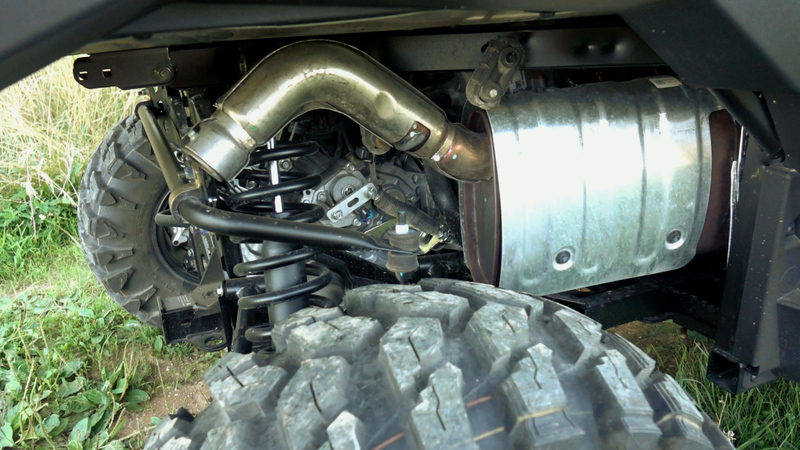 Adding an aftermarket exhaust system can further enhance the engine’s superb snow end grunt. HMF’s Titan slip-on exhaust and fuel management add 4% horsepower on average, and 6% on top with a significant 30% horsepower increase off the bottom accompanied by a 27% increase in torque. 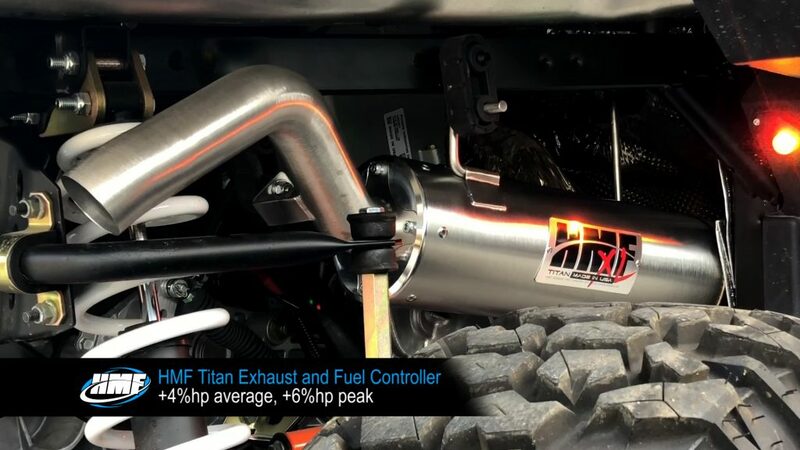 HMF’s Titan slip-on exhaust and fuel management add 4% horsepower on average, and 6% on top with a significant 30% horsepower increase off the bottom accompanied by a 27% increase in torque. 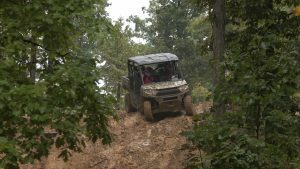 All of the Ranger Crew’s components bolt up to a stiffer one-piece chassis for 2019. All of the Ranger Crew’s components bolt up to a stiffer one-piece chassis for 2019. The front of the machine features a massive bumper with winch and other accessory integration plus plenty of room to tie onto when towing your friends out. The front of the machine features a massive bumper with winch and other accessory integration plus plenty of room to tie onto when towing your friends out. The dimensions of the Ranger Crew grew in nearly every way for 2019. The car is 1.5” wider due to redesigned bodywork at 62.5”. It’s 1” taller at 77”, 4” longer at 152”, and the wheelbase remains the same at 113”. ­­­­­­­­­­­­­­­­­­­­­­­­­­­­­­­­­­­­­­­­­­­­­­­­­­­Utilizing the same dual A-Arms from 2018 at both ends, suspension travel is class leading and has been increased by 1” to 11” of wheel travel front and back. The new shocks feature springs and valving unique to the Ranger Crew and its increased capacities. Suspension travel is class leading and has been increased by 1” to 11” of wheel travel front and back. 27×9-12 front and 27×11-12 rear, 6-ply Maxxis tires are said to be tougher, longer lasting, and quieter on any surface. Designed with work in mind, 27×9-12 front and 27×11-12 rear, 6-ply Maxxis tires are used on all but the entry level, sage green model. They’re said to be tougher, longer lasting, and quieter on any surface. The combination of the updated suspension and taller tires have increased ground clearance by 1.7” to a class leading 13”. The steering rack was revised for improved responsiveness to steering-wheel input for enhanced maneuverability in tight terrain. Turning radius has been reduced by a claimed 10%. 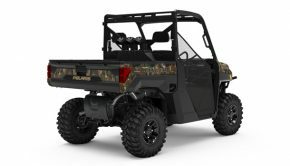 All Ranger Crew models come standard with Electric Power Steering, which was revised for a “better riding experience” according to Polaris. Bigger, better, and more capable in nearly every way, claimed dry weight has increased by 300 lbs. to 1,936 lbs. The steering rack was revised for improved responsiveness to steering-wheel input for enhanced maneuverability in tight terrain. Electric Power Steering was revised for a “better riding experience” according to Polaris. Suspension is typical Polaris plush. Small bumps and rocks simply disappear whether you’re plodding along getting work done, or flying down the trail with the family. The Ranger gobbles up medium size hits. Its very active suspension lets the tires track with the terrain leaving the occupants virtually impervious to what’s going on beneath. We managed to bottom the front end on one occasion when driving hard into a deep abrupt hole. While we found the limit of the suspension travel, the hit was still rather plush. Truth be told, we left the suspension’s preload in the middle setting throughout our testing and never saw a need to mess with it. We could see adding some preload to the rear shocks and softening the fronts if we were towing a trailer with a heavy tongue weight, or if we were constantly hauling a half-ton in the bed. Suspension is typical Polaris plush. Small bumps and rocks simply disappear whether you’re plodding along getting work done, or flying down the trail with the family. Riding along a hillside pulling a farm implement, whipping the back end around in the wet stuff, or searching for traction on a wet off-camber trail, the Ranger Crew delivered confidence inspiring stability. There is a bit more body roll than you would find with a RZR or General; however, the Ranger feels well composed in corners. Steering precision is good whenever traction is available. Responsive steering and the Crew’s tighter turning radius allow you to navigate tight trails that you might not expect to make it through. Power steering keeps steering light and predictable eliminating harsh impacts from bumps and trail obstacles. Steering is nice and light at slower working pace without seeming overly light at higher trail speeds. Riding along a hillside pulling a farm implement, whipping the back end around in the wet stuff, or searching for traction on a wet off-camber trail, the Ranger Crew delivered confidence inspiring stability. To be honest, we can’t believe we didn’t manage to get stuck with the Collins family at Haspin Acres. The stock tires are definitely best suited for hard to intermediate surfaces with a little mud thrown in. William managed to tackle some wet, snotty inclines with a car full of cheering kids. We credit him staying on the gas, abundant power to spin off the tires, and the all-wheel drive’s four-wheeled search for grip. 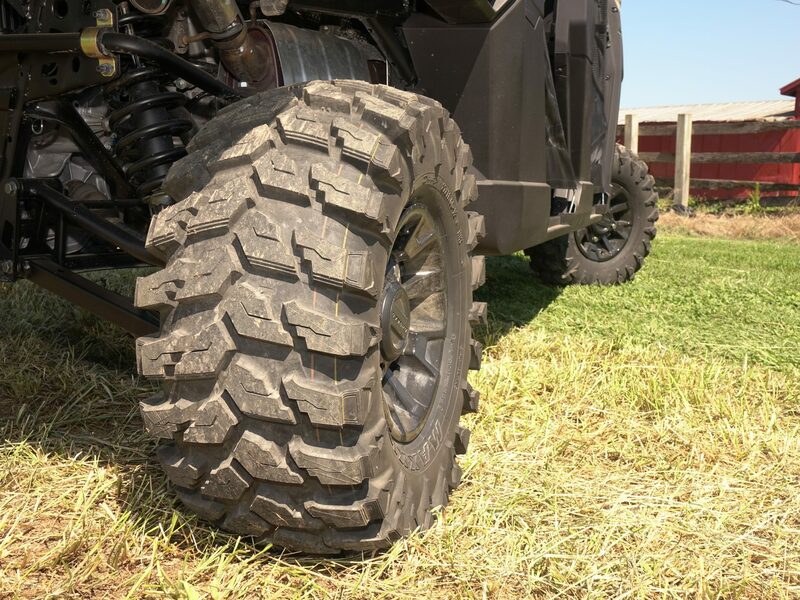 We imagine the Ranger crew would be nearly unstoppable with a set of proper wet weather tires. The hydraulic assist dumping cargo bed retains its 1,000-pound capacity, but its dimensions have grown slightly. The hydraulic assist dumping cargo bed retains its 1,000-pound capacity, but its dimensions have grown slightly. It’s now ¼” longer and wider, and an inch deeper at 36.75” x 54.25” x 12.5” deep. The sides of the bed allow for easy partitioning and the attachment of Polaris’ accessories. Bed space is ample and the hydraulic assist offers plenty of help for dumping. The tail gate handle feels a little underbuilt. The beefier chassis, increased power, and additional weight have allowed for an increase in towing from a ton to a whopping 2,500 lbs. As we mentioned, our four-wheeled hay wagon far exceeded the machine’s towing capacity. The Ranger got it moving with no problem and steered predictably, although with a higher tongue weight or operating on uneven terrain, we’d stick pretty close to the recommended towing weight for safety’s sake. While the Can-Am Defender Max is rated to tow 2,500 pounds, we suspect that the Polaris’ extra horsepower would come in handy while pushing its true towing limits. There’s a class leading 19 gallons of in-cab storage available with two glove boxes, a massive open storage box with several smaller open compartments up front, and another storage box under the rear driver’s side seat. 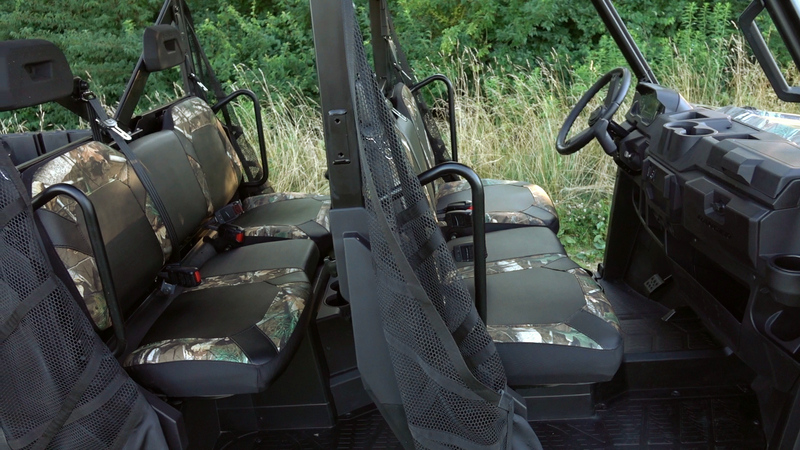 The passenger side seats flip up allowing for additional storage with integrated bucket rings and pass through storage front to rear for longer items. 8 cup holders mean there’s room for drinks to spare. DC outlets are found front and rear. Total payload capacity remains unchanged at 1,750 pounds. The Ranger is slowed by four-wheel hydraulic disc brakes with steel braided brake lines and dual piston calipers front and back. The Ranger is slowed by four-wheel hydraulic disc brakes with steel braided brake lines and dual piston calipers front and back. With its massive cargo and towing capacities, we’re glad to say that braking power and feel seemed on par with the capabilities of the machine. 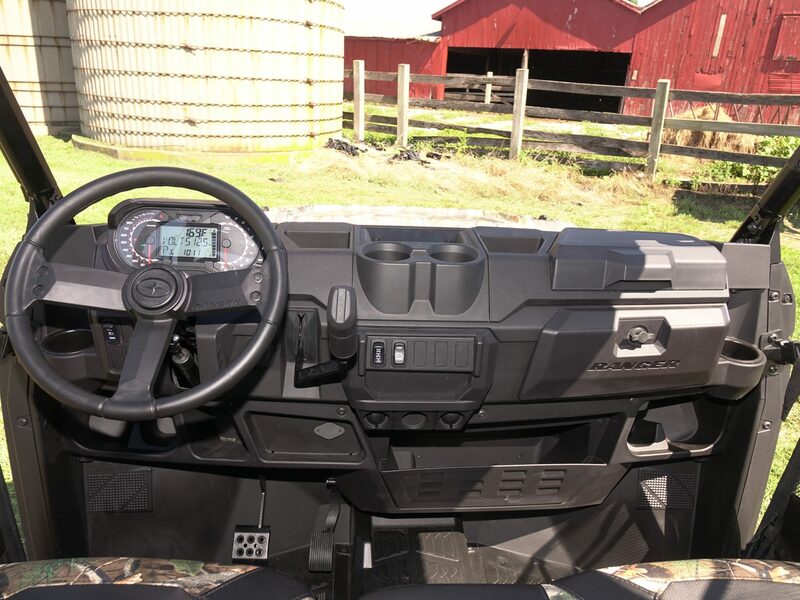 Polaris focused a lot on making the interior more comfortable, useful, and modern for 2019. Jumping in and out of the machine is easier with 5” more clearance both front and rear at the floorboards. While the door nets may help keep occupant limbs inside the vehicle in the event of a tip over, they’re kind of annoying jumping in and out for work. 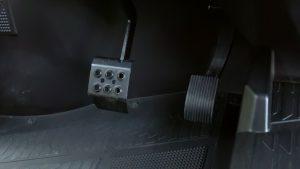 Jumping in and out of the machine is easier with 5” more clearance both front and rear at the floorboards. The seats have 25% more padding, which is appreciated on long rides. The seats have 25% more padding, which is appreciated on long rides. There’s plenty of leg room up front. The driver can get comfortable thanks to tilt steering and a driver’s seat can be slid fore and aft. Out back, there’s ample room for passengers over 6ft with a grab handle that runs the width of the back seat. 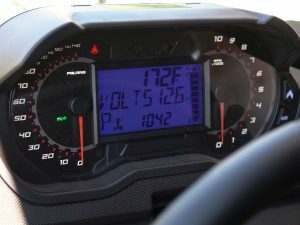 The totally redesigned cockpit is highlighted with an easy to read, dual sweep, digital/analog display featuring a 4” LCD screen with a cool blue color. It provides speed, RPMs, and much more info available at a glance. 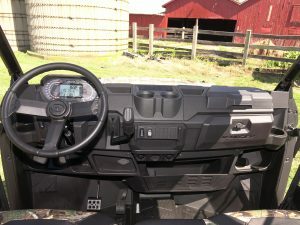 The drive selector and throttle mode switches are mounted center dash along with cutouts for easy mounting of additional switches for accessory lights, winch, etc. Lighting is sufficient provided by 55W low and 60W high-beam headlights and cool looking LED taillights. 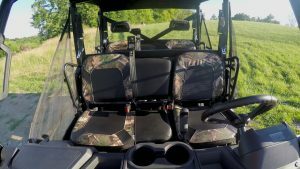 On the farm, the Ranger’s comfortable seating, plush suspension, and roof, which helps keep you out of the sun, made it the vehicle of choice for raking hay over the tractor. At Haspin Acres, the Ranger proved to have pretty good protection from flinging mud and splashing water. The roof was keeping everyone inside relatively dry during downpours. 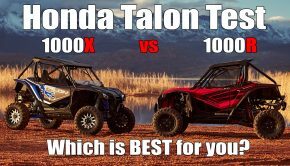 For a machine designed to work hard in all conditions, the roof found on our machine should be standard equipment not a Polaris accessory. Either way, it works well and is quiet, so we’d pick one up. At Haspin Acres, the Ranger proved to have pretty good protection from flinging mud and splashing water. The netted door nets kind of annoying jumping in and out for work and the roof should be standard equipment. Our biggest complaint with the Ranger Crew is managing its sheer size. Be prepared to give up a parking space nearly the size of your truck in the garage, if the Ranger isn’t too tall to fit through the door. You may also want to take measurement of your current trailer to make sure it can haul this behemoth. We found ourselves borrowing both for our test. 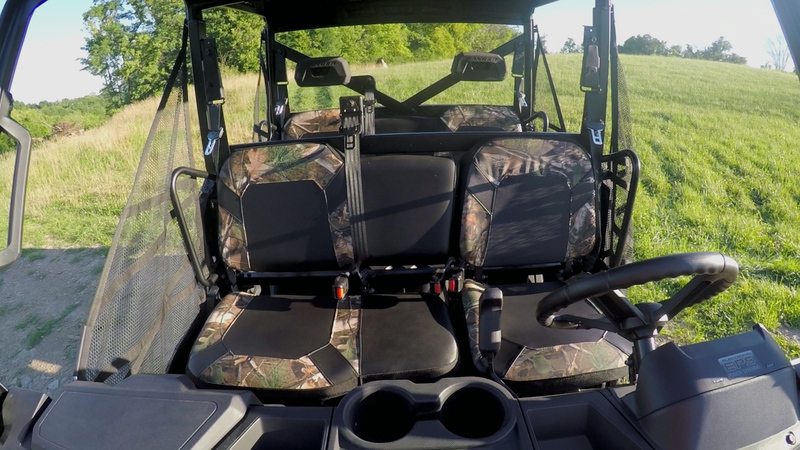 On the farm, the Ranger’s comfortable seating, plush suspension, and roof, which helps keep you out of the sun, made it the vehicle of choice for raking hay over the tractor. If you have a lot of work and more than a few friends to help, or a group of hunting buddies looking for a somewhat economic way to head out together, or are a fun-seeking family in need of a large capacity machine to reconnect on the weekends, these are just a small sample of the many tasks and good times we can imagine having with the 2019 Polaris Ranger Crew XP 1000. If you’re already in the market and are simply wondering if the Ranger Crew’s updated performance lives up to the hype, the answer is yes.